This month’s Reeport update includes the launch of the viewer mode, dynamic filters, smart widgets, a new data connector, and more! The Viewer mode allows you to share your dashboards online. 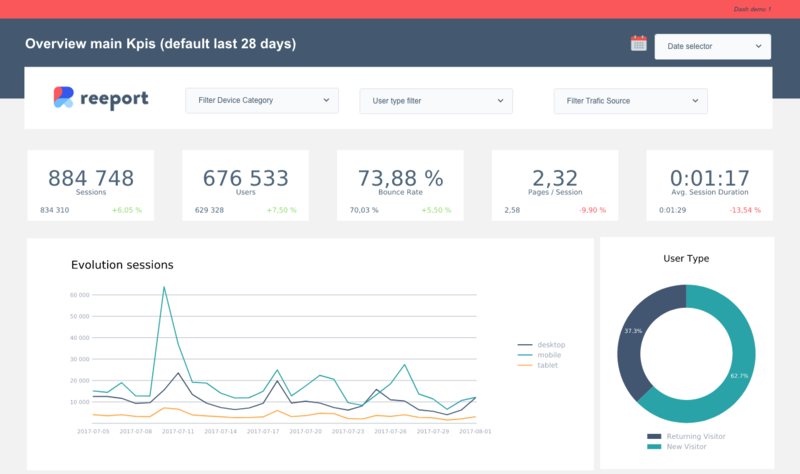 Viewers can now navigate across your reports and interact with your dashboards. Dynamic filters are a great way to empower your Viewers to interact with data. Builders can prepare dynamic dashboards and let Viewers play with data based on pre-set filters (e.g., period of time, user type, device category, etc). 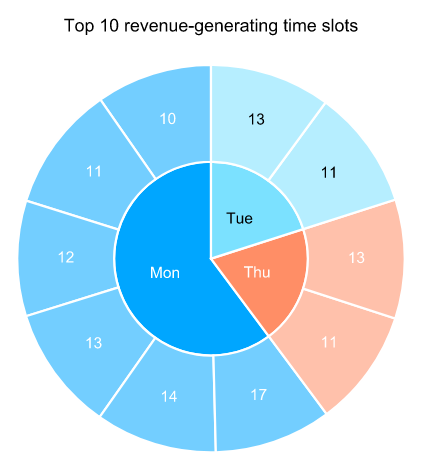 Sunbursts are a great way to visualize multi-dimensional analyses (e.g., day of the week and hour of the day, device type and acquisition channel and landing page, etc). You can now customize your Table Widgets with a wide range of themes. 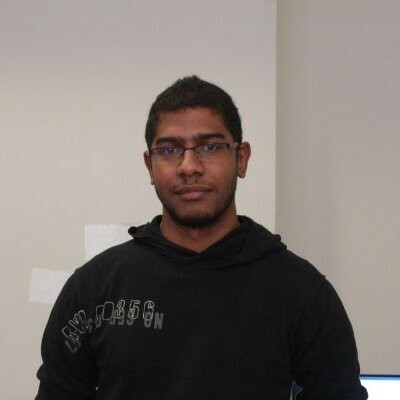 Fetching data from one or several data sources is the easy part! In order to go beyond that, we’ve made it possible for you to run calculations on your data using statistics formulas. 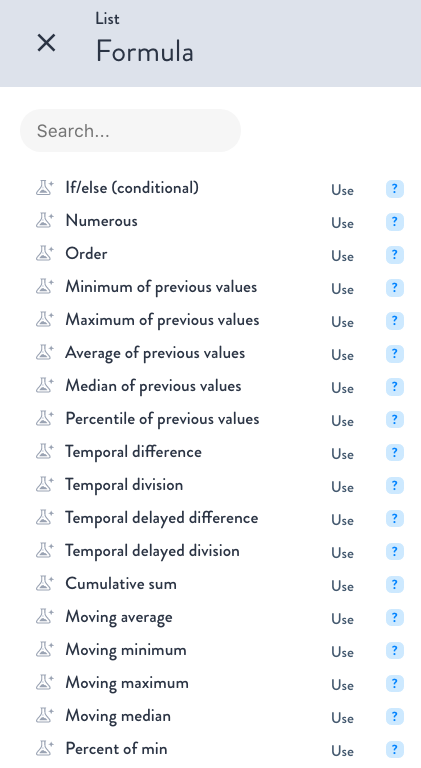 With these functions at hand, you can now use simple and advanced statistics to take your analysis a step further! Life would be too easy if one dimension was enough to run a thorough analysis…so we used our free time this summer to give you the ability to run multi-dimensional analyses! Starting from a blank slate is not easy – that’s why we’ve built Smart Widgets! This gives you access to a range of pre-configured Wigdets. You now have the possibility, upon request, to get dedicated servers for optimal performances when using Reeport. You can now transform a scorecard Widget (aka Single KPI Widget) into any other type of data Widget. 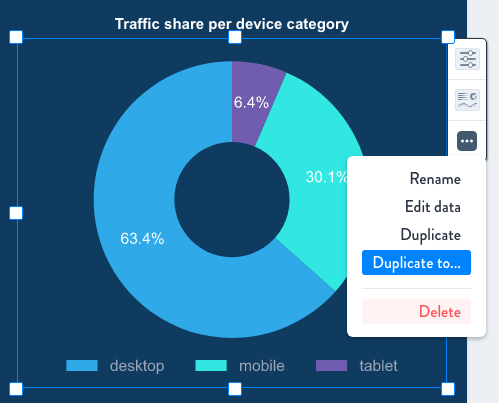 You can also duplicate a Widget from one Page to another within a Report. 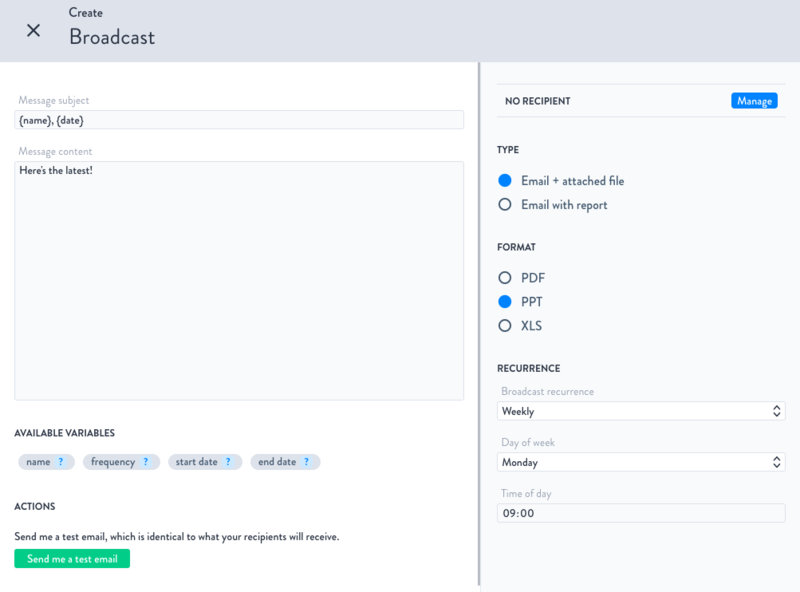 We’ve updated the UX for Report Broadcasts, thus making is easier to set up a scheduled delivery for your Reports. Écrit par Yohan le 7 August 2017.